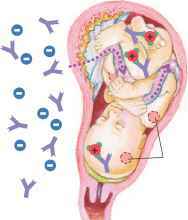 Figure 18.4 Hemolytic Disease of the Newborn (a)The fetus of an Rh-negative (Rh— mother may inherit paternal genes for Rh antigens and have Rh-positive (Rh+) blood. During delivery of a first Rh+ baby, enough Rh+ red cells can enter the Rh: mother to induce an anti-Rh response. (b) The mother makes a primary response to Rh antigens and develops memory cells for anti-Rh antibodies. 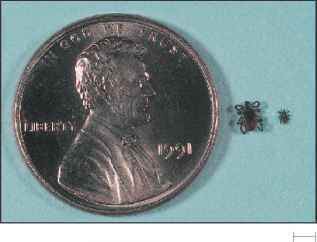 (c) During subsequent pregnancies with an Rh+ fetus, the very few fetal red cells that cross the placenta can cause a vigorous secondary response.The IgG anti-Rh antibodies cross the placenta and destroy the baby's red blood cells. fetal red cell damage. To save its life, it may be necessary to transfuse the fetus in utero repeatedly, using Rh-negative blood. Much more commonly, the disease process only becomes threatening shortly after birth. The fetus can usually survive the anti-Rh antibody attack while still in utero because harmful products of red cell destruction are eliminated from its system by enzymes of the mother. These enzymes are present in only scant amounts in the newborn. As early as 36 hours after birth, jaundice may appear and result in permanent brain damage or even death. Not only does the baby become seriously ill from the toxic products of red cell destruction, but it also develops a severe anemia. In this critical situation, it may be necessary to withdraw a portion of the baby's blood and replace it with Rh-negative blood. Also, irradiation of the baby with light at wavelengths 420 to 480 nm converts the red blood cell breakdown products to a form more readily excretable.